Tea and coffee cups have been made in Britain since the middle of the eighteenth century and can be found in a vast array of decorative designs, reflecting the changing fashions of society as well as the advances made in the manufacturing process. 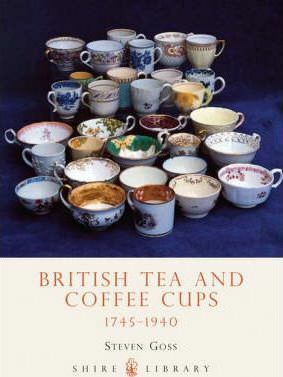 This book charts the development of tea and coffee cups over 200 years, providing information on the methods of decoration, influential factories and designers. Steven Goss guides the reader on how to identify the dates of particular patterns, as well as listing a number of museums and auction houses where these ornamental cups can be discovered. Steven Goss has been involved in the antiques trade for more than twenty-five years, as a full-time professional dealer, specialist consultant to a leading provincial auction house, writer and collector. Educated at a special school for the physically disabled, his interest in antiques is diverse and includes early glass and silver, but eighteenth-century English blue and white porcelain is the main focus of his attention. He is an enthusiastic collector of tea wares.